Hello I’m Billie-Jordan Butler and I’m ten years old, I live in Norfolk and I have been a Cuda champion since February this year. 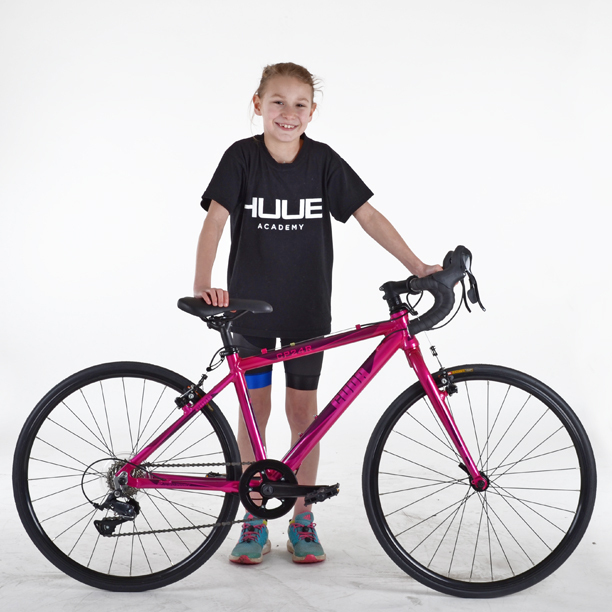 I had a great tour of the Cuda showroom and I chose a Performance 26R which I will use for my triathlons this year in the British Triathlon Eastern Junior League. I have been riding a bike with 24 inch wheels so now hopefully I can go much faster. I chose the pink and purple colour because pink is my favourite and this paint colour looks really nice in the sun. 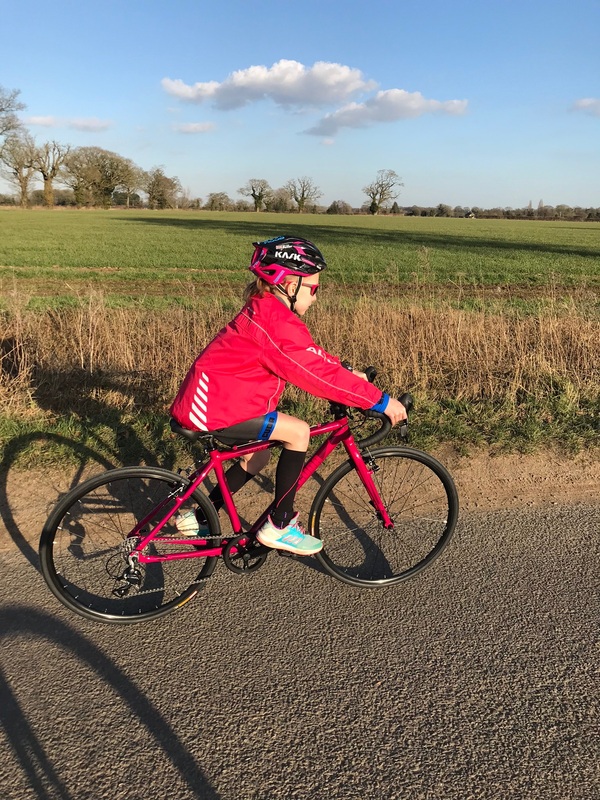 Since getting my new bike I have mostly been riding it on my turbo because the weather has been so bad but I have been out around our quiet village lanes and even done a practice Duathlon at the Lotus race track. 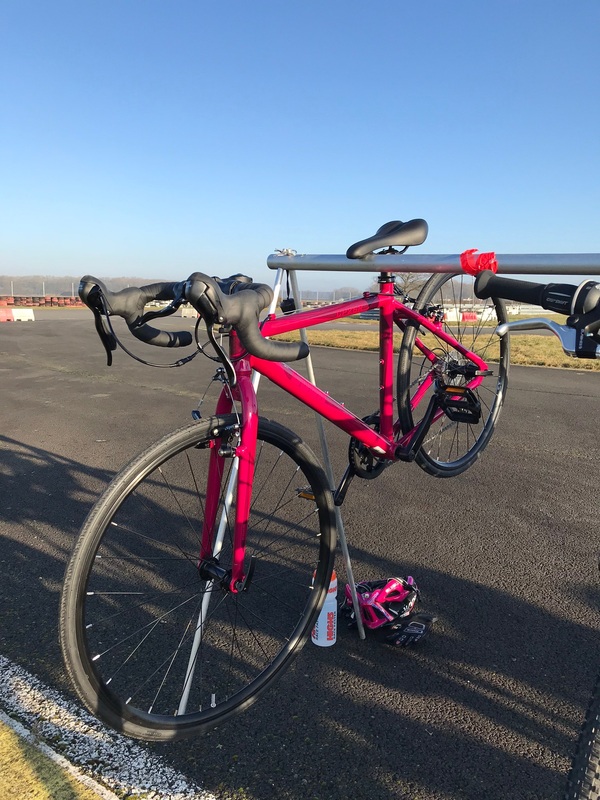 My bike is nice and light and was easy to lift on and off the racking in transition and I was much faster around the track than I was on my old bike. I sold my old bike and bought myself a Garmin and I have it on my handle bars so I can see how fast I am going and how fast I am pedalling even when I am indoors on my turbo. Next week I have my first League race but I will not need my bike because it is an Aquathlon, this is where I just swim and run. I will be taking it with me because on the way home my dad will drop me at the triathlon skill school where I will sleep over for three nights where I will swim, ride and run every day! We will be training on grass so before I go I will need to put on my grass tyres that came with my bike. Then I have about a month before my first triathlon and my dad says I must train harder on my bike, I have been really busy with swimming but now I am starting to do more biking and now it is light after school I can go out on it instead of being on my boring turbo. If you want to follow me and see where I am racing and how I get on I am @ironkidbilliej on Twitter . 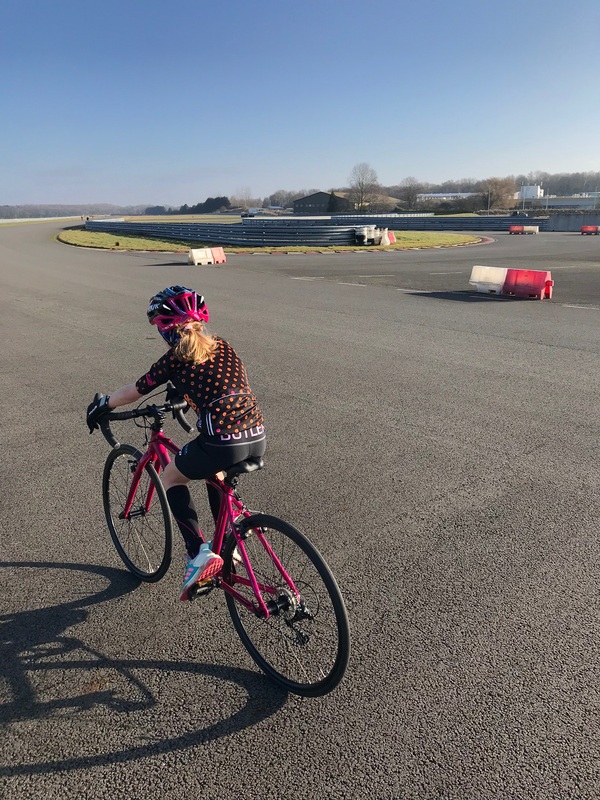 In May I will be riding around Silverstone F1 circuit for a charity, so that will be way cool and when I watch the cars racing on TV I can say I’ve been there on my bike, I can tell you about that in my next blog.